There might only be 20 days left until Christmas, but there is still plenty of time to order your cards this year. As long as you leave yourself enough time to sign, stamp and send - we can print right up until the week before Christmas. Order your Personalised Company Christmas Cards now and give yourself plenty of time before the final Royal Mail postage dates for Christmas! 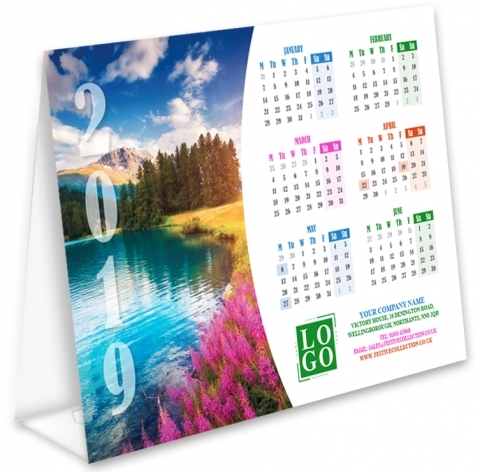 Our Folding Desk and A4 Sheet Calendars off a unique promotional item to keep your company details and logo in front of your customers all year round. 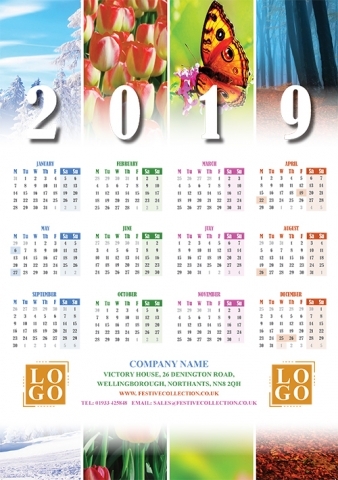 Both of our Folding Desk calendars feature beautiful images of nature alongside a 6 month to view calendar along with your company name, logo and contact details. These Calendars are A5 size. Once folded into the free white peel & seal envelopes, they fit into Royal Mail’s lowest price band. 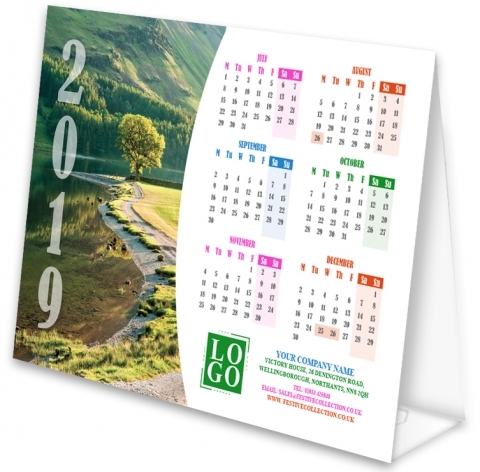 Our Folded Desk Calendars are in Price Band B, and as with all of products you will receive a proof within 24 hours of your order being received. Your order will then be dispatched within 3 days of approval! We will not print your calendars until we receive written or verbal confirmation from you. Our A4 Sheet Calendars also provide this same marketing touch. 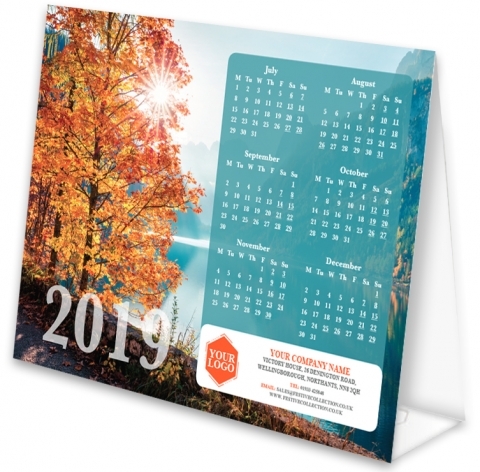 Our Sheet Calendars come in three designs; Contemporary, Contractors and Seasons. 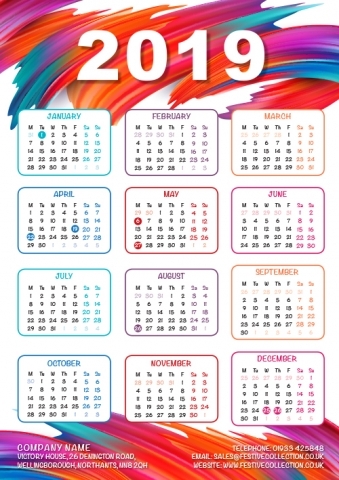 My personal favourite is the Contemporary A4 Sheet Calendar, its bold and colourful design is eye catching and offers something unique and different. 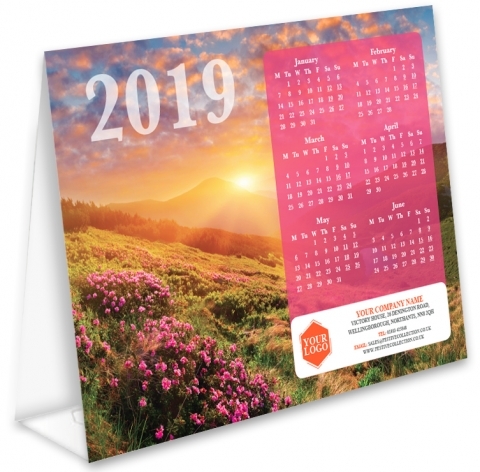 These calendars also provide the opportunity to keep your company name, logo and contact information in front of your customer for the whole year. The Seasons A4 Sheet Calendar shows a snippet of each season across the top of the calendar with complimentary colours used in the calendar of each of the columns. 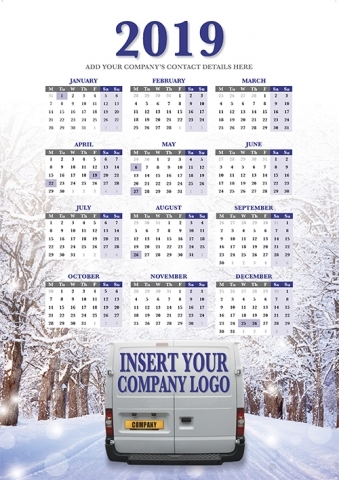 Finally, the Contractors Calendar offers a wintery scene perfect for builders, automotive and other contractor businesses as it allows for your company logo to be displayed on the back of a van. Our A4 Sheet Calendars are not supplied with envelopes but A4 board backed envelopes can be purchased at £0.30 (ex VAT) per envelope. All of our orders come with free UK mainland delivery, free proofing and amendments and a free gift. We also offer the opportunity to support a charity with all of our cards, 10p from the sale of every card you buy will go to your chosen cause. If you have any queries, please get in touch by calling 01933 425848 or email sales@festivecollection.co.uk and we’d be happy to help.